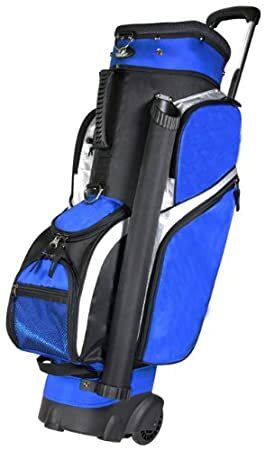 Can anyone tell me where I can buy this type (need not to of exact type, but with wheels and handle) of bag locally??? I found this in Amazon.com, the shipping is very expensive. I believe you can get them at Isetan. Can double up as a travel bag as well so less hassle. Yes, I saw it as well, but I don't like the 3-digit lock, screwed me up a few times when I was traveling. I am indeed considering. bag boy hybrid or porterline hybrid. wait for isetan sales? Yep, I am using for wheeling between car / club-house and car park.